Dave Paquet constructed this 23'6" x 7' fantail launch using yellow cedar strip planking on the hull, and red cedar strips for the decks. 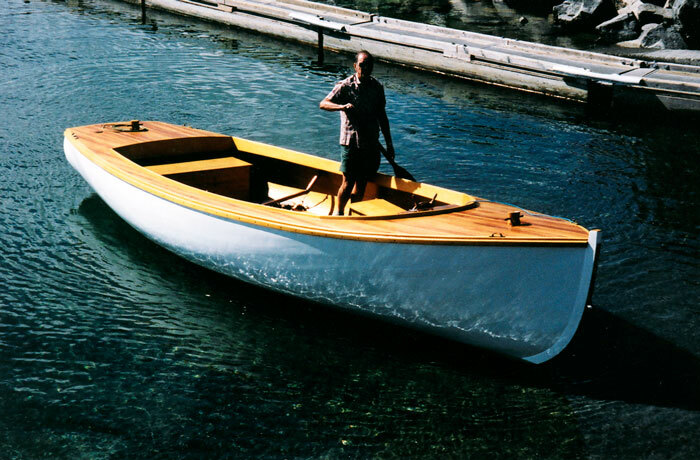 This Glen-L 'Harbor master' design took Dave four winters to complete. He launched PILGRIM in May 2004. Power comes from a 4 hp 1908 Ferro Marine two-cycle engine. Dave uses PILGRIM in Comox Harbor, in Vancouver, Canada. Dave can be reached at 1017 Anderson Road, Comox, Vancouver Island, BC, V9M 3Y8 Canada.